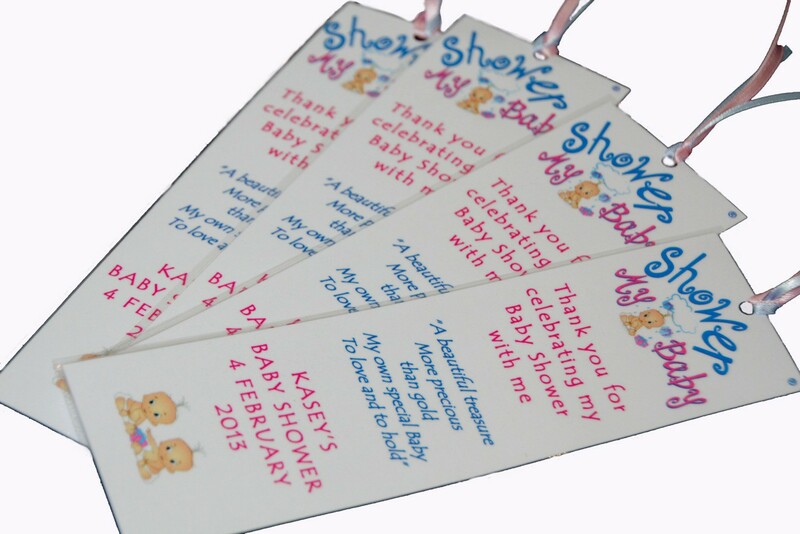 These personalised bookmarks are a Baby Shower party favourite as they are a lovely way to say thank you to each guest for helping Mum to celebrate her Baby Shower Party. 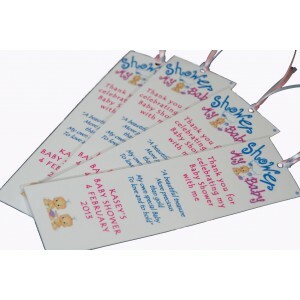 Your bookmark is personalised with Mum's name (and Dad's if you wish) plus the date of the Baby Shower. A cute poem is printed onto each with a Thank you message in pastel colours suitable for boy's & girl's plus our adorable twin babies.